William Firebaugh’s original Well-Tempered Tonearm turned many heads – and ears – upon its’ debut in the mid-1980’s. The tonearm’s design was, and remains, quite radical by any way of reckoning. 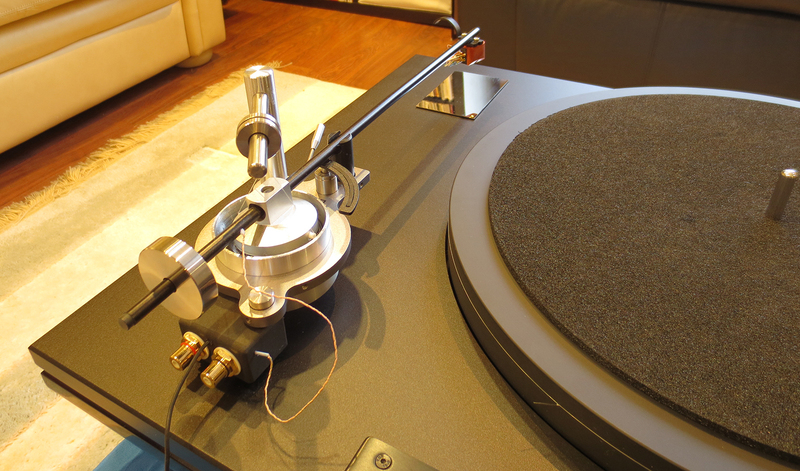 The followup Well-Tempered Turntable allowed WF to integrate his ideas on damping and resonance even further. Some may have been inclined to dismiss Firebaugh’s tonearm ideas as having “no bearing whatsoever” (pun intended), but enough audiophiles latched on, and gradually, a sort of cult following developed around these products. Today, some thirty years later, Well-Tempered Lab, while still very much a boutique effort, has evolved into one of the more well-respected analogue brands. Mr.Firebaugh, it seems, may have been ahead of his time. 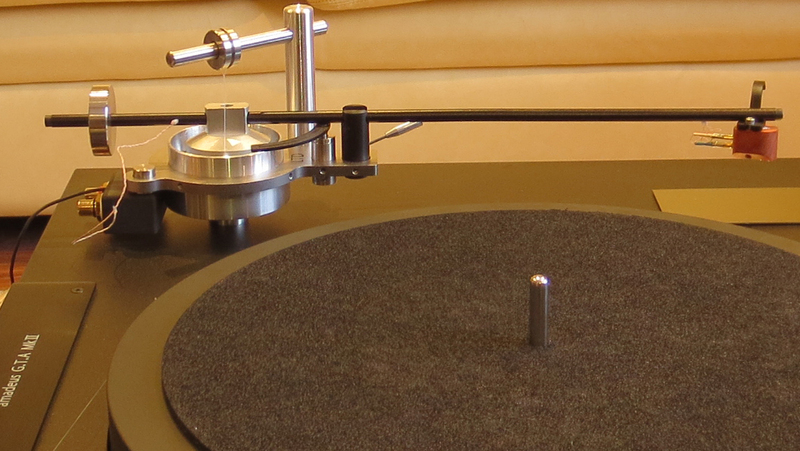 I had the pleasure of reviewing the Amadeus GTA MkII turntable, with the exceptional LTD tonearm, over a couple of months in 2015. What a brilliant piece of gear this is. At the time of this review, the Amadeus GTA MkII occupied the top of Well-Tempered’s lineup – above the rest of the Amadeus, Simplex and Versalex models. Late in 2015, they introduced the Royale 400, a statement product with a 16″ arm, that retails at about twice what this model sells for. I wrote about that model briefly, in my last TAVES show report. Some gear just feels right from the moment you pick it up in your hands – the WTL doesn’t fall into the high-mass camp, but it is quite hefty and, well, substantial. It absolutely oozes quality. The finish is superb, and the overall look is extremely refined and classy, while at the same time looking and feeling fresh and modern. In fact, the deck manages to look ‘classic’ and innovative at the same time. And as we’ll see, that’s exactly how it performs too. The latest ‘LTD’ tonearm builds on the concepts familiar to even casual observers of the Well-Tempered. Its “pivot” is still a golf ball submerged in a heavy silicone bath. The ball is less conspicuous, being tucked under the armwand’s carrier unit. This looks (to me) more professional, and I believe also provides for some decoupling from the ball itself. The Symmetrex wand is available in 10.5″ and 9″ lengths; my review sample was the 10.5″ – and definitely made the LTD feel like a transcription-length arm. Using this arm is a real pleasure. It doesn’t feel “delicate”, but its exceptional feel and design makes you want to treat it with velvet gloves. The arm pivots and cues smoothly and with solidity. It never feels like it’s planted in a puddle of goop. Yes, if you really yank on it, there is a bit of “play” (compared to a rigidly mounted arm) – but the silicone bath is so well thought-out, everything just settles back into perfect position. In terms of design, it’s as controversial as ever. Try this on for size (from Mr.Firebaugh): “The Symmetrex tonearm has the unique feature of dynamic tracking. The centre of gravity of the tonearm assembly is well above the rotational pivot of the ball and the ball is immersed approximately 30% in the damping fluid. When the stylus encounters heavy modulation in the grooves the increased drag causes the tonearm to rotate down thus gently increasing the tracking force maintaining a secure and stable condition for every cartridge.” It’s worth a trip to his philosophy page to understand more of the principles behind the designs. Golf ball tonearm. String drive. Triangle hole for the spindle bearing. Yes, the quirks abound. But the lasting impression is of a design that’s refined and very well thought-out, and not in the least bit rough, or contrived. And it all works so beautifully well, you soon grow to love the idiosyncrasies. The way a driver’s car connects you to the road, the WTL connects you to the music – it’s a listening experience that’s direct, engaging and fun. The WTL does all the audiophile things you want; it nails instrument tone, it extracts detail, it portrays soundstage. Yet it never calls undue attention to those elements. Instead you just feel immersed in music, with the sub-elements underpinning everything, but staying put in their subservient places. This is what playing vinyl is all about! My notes include words like musical, vivid, textural, fast, detailed. No mention of slam, wham, or bam. There are instruments for rattling the walls. A turntable like this is capable of much more. I used the WTL with my Denon DL103, as well as the amazing Charisma Reference One. 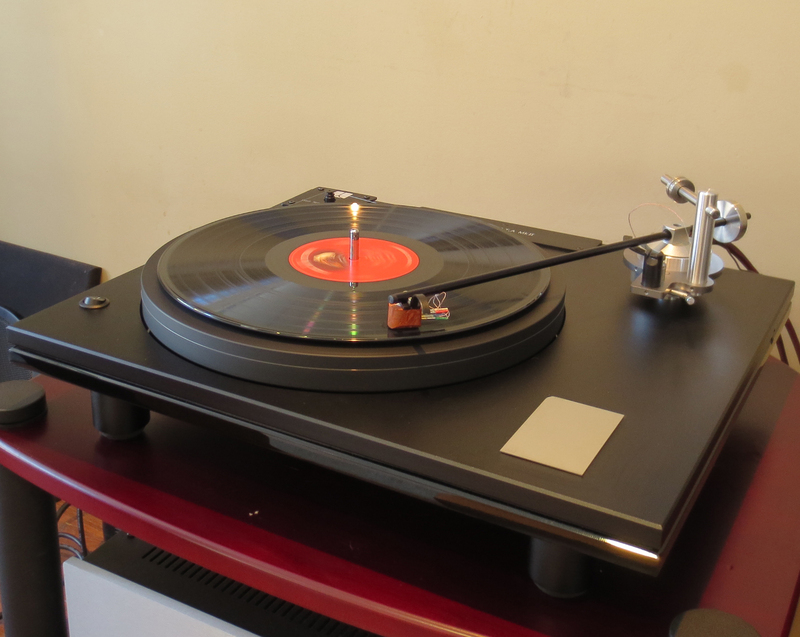 Phono stages were my Musical Paradise MP-P1, and others here for review, including NVO’s SPA One SE. In every configuration, this deck sang with authority and finesse. This was some of the best analog reproduction I’ve had the pleasure of hearing in my home – I dug deep into my vinyl treasures and really basked in the joy of it. I felt the Well-Tempered represented all genres of music very well, from simple folk stuff to orchestral works. Just as importantly, I was able to enjoy non-audiophile recordings without the accompanying dread that some gear induces. That brings me to an important point, even if it’s a bit of a generalization. This is a British sounding turntable, to my ears. 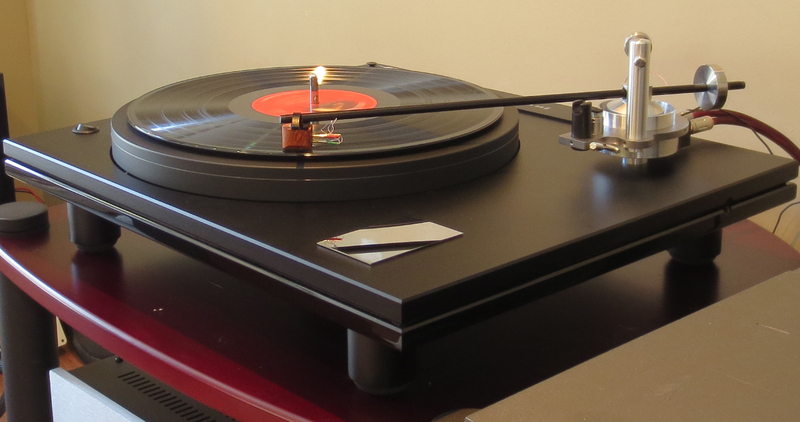 Although the plinth construction (acrylic-aluminum sandwich) borrows from US designs like the VPI machines, it sounds more rhythmic than bombastic, or hyper-detailed. There’s a natural, relaxed flow in the way music is presented. In the past I’ve found many British designs to be somewhat colored, i.e. until you got to the really good stuff, like the Garrard, or JA Michell. The Well-Tempered does not fall into that equation. It ranks with the very best of this breed, which includes the Nottingham, Simon Yorke, and of course, the very best Linn’s, and the newer, high-end Rega’s. Great design and execution doesn’t come cheap. The remarkable Amadeus GTA MkII is well-positioned in the marketplace. It certainly isn’t cheap. A new one won’t find a home within my budget anytime soon, but a used example now occupies one of the two British spots in my fantasy roster – the other being a Michell Gyro SE. And in all honesty, there’s so much I admired and enjoyed in the WTL design, that if I were in the market for something new, I’d give very serious consideration to their Simplex model. I’ve heard the Simplex, in Charisma’s old showroom, and I heard a lot of the Amadeus’ magic – for a substantially lower entry cost. I strongly recommend auditioning the Well-Tempered Lab turntables. All of my encounters with them have left a very positive and lasting impression. Thank you to Charisma Audio for the opportunity to review this one. I bought the top end Well Tempered Turntable in 1985. The only mod I made to it was rewiring the the arm with Van de Hull solid silver litz pick-up wire. With the upgrade, it cost me over 3000 CAN. So today, I consider the asking price to be very reasonable. There have been some design changes. The biggest change being the elimination of the independent and isolated drive motor. It used to be embedded in a 15lb lead brick. I still use this turntable almost every day. It has the most remarkable quality to present a silent, a distortion free, and a three dimensional soundstage that keeps me coming back for more. It just reproduces the music as it was recorded. I am confident that, with the proper pick-up and associated gear, the WTT( as we used to call it) will keep a true music lover happy for the rest of their life. Thanks for the comments, Colin! Based on my limited experiences with the WTT’s…I have to agree.